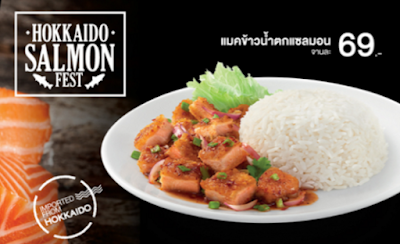 When McDonald's Thailand launched the Hokkaido Salmon burger in November 2015, they also launched a hybrid rice dish called the Hokkaido Salmon Namtok Rice. I didn't think I was going to review this as I found it a bit of a rehash as it simply used the ingredients from the regular menu Namtok seasoning and rice together with the new Salmon burger patty. 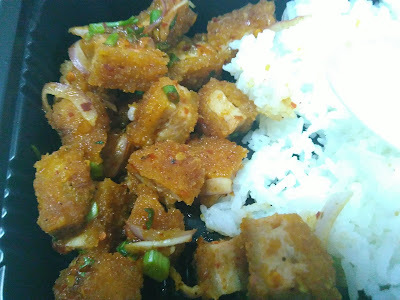 I first reviewed the Namtok Rice before I moved to Thailand way back in 2012, and it still remains a popular regular menu item, even when other rice dishes have come and go. The original has always remained one of my favourite McDonald's items I've reviewed, as it as the perfect combination of both interesting, unique and tasty. Nam Tok is a flavour created by combining ground roasted rice, ground chillies, fish sauce, lime juice, shallots and mint leaves. 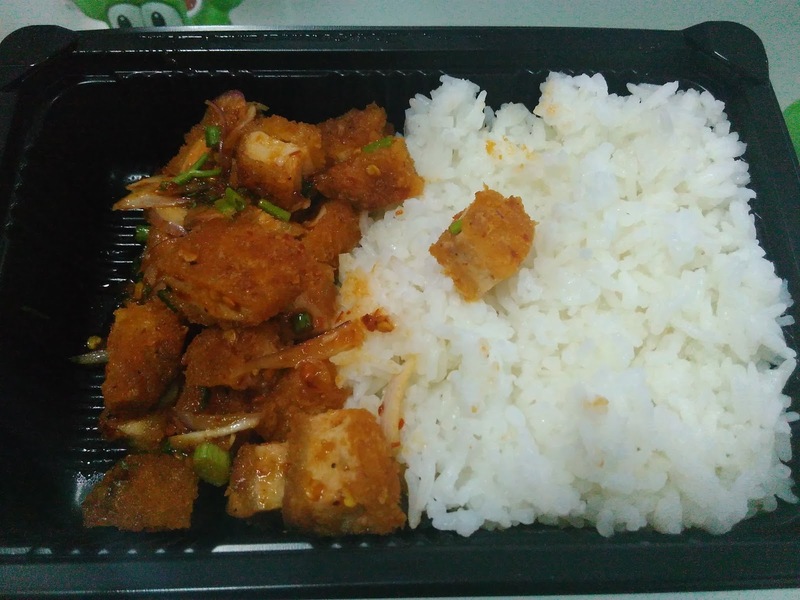 Since moving to Thailand and having this flavour more and more, I found that the McDonald's variant is a bit on the salty side, but that salt is offset by a hit of garlic and onion (you can see all the spring onion in the photo which they might be replacing the shallots with) that you might not get outside. The sauce seems fresh, and although it likely comes pre-made, as I don't expect them to be frying up a sauce every couple hours, it certainly doesn't come from a powder. As I mentioned in the Salmon burger review, I felt that patty was a bit on the dry side, and the nam tok sauce actually helped in that regards. There was a nice paring between the patty and the sauce, and nearly would have had a perfect score, except for one point, the salmon + the fish sauce used as the base for the nam tok seasoning made it a bit too fishy, and although I'm a huge seafood fan, this need just a bit more something, either veg, or possibly an egg to give it the right balance. 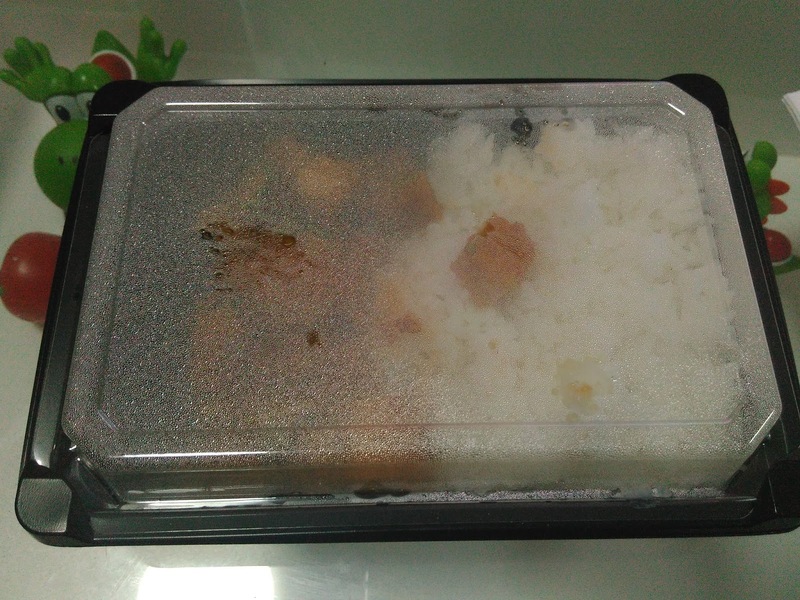 The white rice didn't really cut that down any. All in, this was still very tasty, and after trying it the first time November, and again for this review in December, as of mid January 2016 this is still available, so I will probably have it one more time before it likely disappears for good. If you can make it to Thailand in time, give it a try, if not, the regular beef, pork and chicken variants will be on the menu, and they are still just as good.